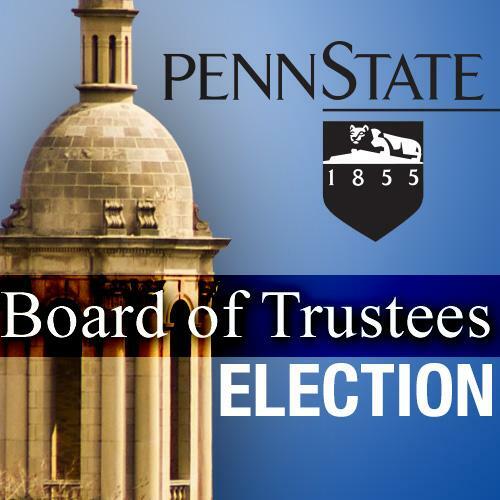 As the election approaches for the Penn State Board of Trustees, StateCollege.com is highlighting each candidate over the course of five days. There are 31 candidates seeking three vacant seats on the board. Voting begins April 10. Winners will be announced May 9. StateCollege.com contacted each candidate requesting a response to two open-ended questions with a 250 word limit to each question. Candidates are featured in alphabetical order. This is the fifth installment. View candidates featured on Day 1, HERE. View candidates featured on Day 2, HERE. View candidates featured on Day 3, HERE. View candidates featured on Day 4, HERE. Ted J. Sebastianelli, '69, Bus, retired military, State College, Pa. List your top three priorities if elected, or re-elected, to the board and explain why they would be your priorities. Stop the unnecessary spending, make the cost of education more affordable. We need to cut costs on capital projects and dig for savings in everything we do. It's not cost-effective for buildings to go unused or underutilized during less popular times like Fridays, early mornings, and during the summer. We need students to take advantage of year-round learning. Furthermore, I have grave concerns about the cost of a Penn State education. Many today believe college costs too much and delivers too little. Our main campus is the second priciest four-year public university in the country. Our students are graduating with huge amounts of debt and, unfortunately, with high student loan default rates. If this problem isn't addressed, we risk pricing ourselves out of the market. Shift the balance away from the decision-making power group. It is critically important to continue shifting the balance away from the power group of incumbent members who have repeatedly, and sadly, failed to defend our university, and who, through their negligence and poor decisions, have damaged our alma mater's reputation. Repudiate the Freeh Report, move to eliminate the NCAA sanctions. A discredited Freeh Report is key to restoring Penn State's tarnished reputation. Then, Emmert's ill-conceived NCAA sanctions would fittingly collapse under its own weight. Long overdue apologies would be in order and go a long way toward reclaiming Penn State's rightful place among the great universities of the world. There are 31 candidates vying for three seats on the board, explain what makes you the most qualified candidate? - Former military commander. My 34-year professional military career is characterized by high-level achievement and steadfast determination. As a commander, my leadership style was focused on being firm, yet fair, in dealing with personnel as well as mission critical issues. - Former president of the Penn State Football Letterman's Club. My experience to play on Coach Paterno's first three teams, including the undefeated 1968 squad, served to imbed a "can do" attitude that remains with me to this day. - Retired and living locally. Living in State College among the fraternities keeps me in touch with student life on a daily basis. 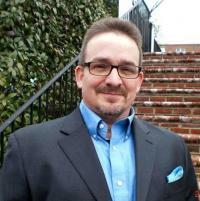 I've been active in various town-gown issues through the Highlands Civic Association. I regularly take part in campus activities year round. One of our more outspoken trustees has pointed out it's not just a question of experience, we need trustees who have the time it takes to measure up to their fiduciary responsibilities. I have both the experience and the time. Most of the other candidates haven't even attended a trustee board meeting, let alone a committee meeting. I've chosen to attend many of the committee meetings and all of the board meetings for the better part of two years. For me, it's really a question of priorities. 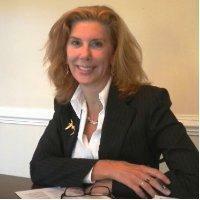 Learn more about this candidate HERE. Laurie Anne Stanell, '80, Sci, dentist, Holicong, Pa.
Reestablish the respect the alumni, student and faculty have for the Board of Trustees, by getting to the Truth in the rush to judgment in the Sandusky scandal, which has since then and currently divided the alumni, students from the board and administration. In the wake of the rush to judgment by the November 2012 board and administration, over 80 percent of the alumni are upset with the November 2011 board thus causing an approximate 30 percent drop in alumni monetary contributions to the University. Globally, Penn State needs to continue to be bold and innovative, remaining on the cutting edge of educational and research technology in order to remain a step ahead of other higher institutions and therefore continue as one of the top 50 universities in the world. We also need to continue aggressive "Dare to be Great" fundraising to help balance the worldwide recession facing all institutes of higher education. Our priorities must be set on an ongoing pursuit of excellence. We must balance current fiscal conditions with a positive attitude towards the future, all with the goal of sustainability.We also must adopt Board reform. We need to balance University needs represented on the Board as recommended in the Wagner report. It is not 1855, we are no longer solely an Agricultural university, we are much more than that academically and the board's member should be a direct reflection of what Penn State is today and will be in the future. I am the most qualified candidate, because I'm a Penn Stater who comes from and will represent all Penn Staters, who live in the "trenches of life". In that I mean, I'm a PSU graduate, who went on to graduate school, but give the credit for the majority of my success, to what I learned at Penn State. JVP's "Success with Honor" was not just about football. PSU holds a special place in my heart. I am sure that is true for the majority of PSU grads who lived their lives daily in the trenches, thinking the Board and Administration were always representing Penn State's best interests. But since 11/9/11 , myself and others in the trenches of life have been appalled and crushed by how the Board and Administration failed to have our backs. I would never let a similar action reoccur. The BoT's rush to judgment without due process for those accused of a coverup, the acception without hesitation of NCAA sanctions, and the aftermath that ensued of disgust from media, Pennsylvanians and Americans...was disgust directed at all of Penn State . The decisions on 11/9/11 were made at " a hastily called meeting", with call to vote immediately, no discussion. Not the right way to affect peoples lives and Penn State forever. If elected, I will represent all of you in the trenches, with honor and make a significant difference in governance at Penn State. 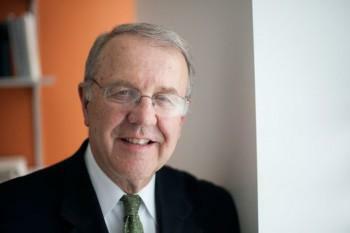 Allen L. Soyster, '65, Eng, professor of industrial engineering, Northeastern University, Boston Mass, Philipsburg, Pa.
Penn State students pay the second-highest public tuition in the country. To help control rising tuition, some universities have adopted Resource Centered Management financial models. The idea is to decentralize revenues and costs. For example, the College of Engineering collects its own tuition (research revenues, gifts, etc.) and then pays its salaries, fees for university services and "rents" its space. With innovation as the driver, individual colleges, like business and industry, are motivated to increase revenues and eliminate waste. My #1 priority is to benchmark the results from schools which have adopted this model. In 1989 the Board approved the development of Innovation Park. The vision was to "transfer university-based knowledge to the marketplace" and become a Pennsylvania edition of Research Triangle Park. Today, it appears that most tenants have little to do with Research and Development, even though the University is a powerhouse of basic research ($530 mil). My #2 priority is to establish industry partnerships and re-energize our commitment to technical innovation at the Park. My third priority is to address a vindictive NCAA sanction, namely, the vacating of our 111 football victories (1998-2011.) This petty sanction diminishes future alumni involvement and distracts us from more important priorities. The football fans amongst us will forever remember the PSU 17, Ohio State 10 win in 2005. Is this now a loss? Not according to our honorable Buckeye's website ---10-17 L. They don't want it. Maybe the NCAA should give it to Auburn—they needed another win last year! I know the academic/research side of the business, serving as a Professor, Department Head and Dean at various universities, including 15 years at Penn State. So I know how to look "under the hood" and compare our performance with our competitors. For several years I also served as Director of Engineering Education and Research Centers at the National Science Foundation, visiting dozens of universities and managing funding ($125 million/year) focused on pedagogical innovation and state- of-the-art Research Centers. This background would allow me to be an in-situ resource for other Board members, as well as someone prepared to ask the Administration, when needed, some tough questions: Like why are 52 percent of Pitt's first year students in the top 10% of their high school class and we are at 41 percent.? On the other hand, congratulations Penn State: your graduation rate (86 percent) is 26 points higher than "experts" (U.S. News & World Report) predicted. My background also allows me to naturally represent the interests of two important constituencies. First, although we have the 2nd largest Engineering College (undergraduate) in the US, there is apparently only one engineer on the Board. Maybe it's time to double that number! Secondly, while serving as a PSU Department Head, I came to appreciate the dedicated (and often unrecognized) service of our staff, some who live in State College and others who live in places like Tyrone, Reedsville, Howard or Philipsburg. Who represents the interests of our staff on the Board? Maybe someone who grew-up in Philipsburg, like me. Vincent J. "V.J." 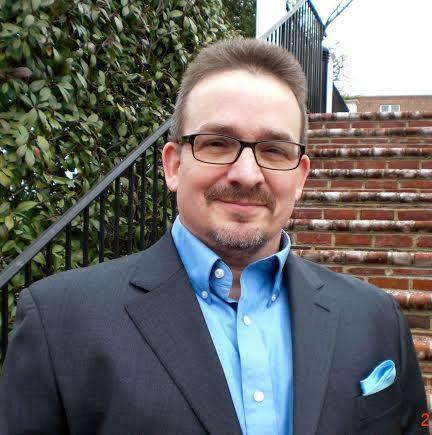 Tedecso, III, '86, '95g, Lib, retired U.S. Army officer/defense industry consultant, Alexandria, Va. Modernize our governance. Reforming the University's governance is job one because it addresses the root cause of recent tribulations. There is an unchecked and unhealthy concentration of power in the hands of the Chairman of the Board of Trustees, the Board's Executive Committee, and the University President. We must overhaul our governance, re-establish checks and balances and institute systemic transparency. Deal with the fallout. We need a truth and reconciliation process to heal the University community and come to a shared understanding of our recent past. We must hold those responsible for the University's bungled handling of and response to the Sandusky scandal accountable. We need to ensure Joe Paterno's legacy of "Success with Honor" is appropriately commemorated and celebrated. Make a Penn State education more affordable while sustaining academic excellence. Declining state appropriations and rising costs have driven tuition up to the point that the working families struggle to afford an education at Penn State. The Board should work to control costs, limit increases to tuition and fees, and increase state appropriations. At the same time, Penn State must have the resources required to attract and retain world-class faculty and then give them the facilities and support they need for teaching and research. We require a new capital campaign and more aggressive and effective efforts to secure government and corporate grants to propel us forward. Front line service in two wars has taught me a great deal about courage and Alumni can count on me to stand up for what Penn State most needs: good governance, transparency and accountability. Penn Staters love their university, but the demands of work and family mean we don't always have the time and energy to remain engaged. We rely on our Trustees to look after Penn State and as the past three years have shown, that trust has been misplaced. Too often past Alumni Trustee elections have boiled down to votes based on affinity and prominence. Thus, we all bear some responsibility for having elected "country-club" Trustees who simply rubber stamp decisions made in secret by a cabal of the Board's Executive Committee, its Chairman, and the University President. This must end. I am committed to re-establishing appropriate checks and balances and to making our governance more transparent and accountable. I seek a Board that provides strategic direction, approves policies and provides oversight of the university's administration which focuses on excellence in day-to-day execution. Finally, I'm not the usual candidate with wealth and connections. I am beholden to no one. I'm a regular Alumnus who has invested the time and effort required to gain a deeper understanding of the issues and who has an extraordinary passion for righting past wrongs and setting Penn State on the right course. George A. Weigand, '69, Edu, retired educator, State College, Pa.
Tuitions Rates. This becomes a major priority of us over the next five to ten years. Students cannot afford to invest the amount of monies required only to leave the university in debt for their foreseeable future. This task will not be an easy one, but if we devote more effort to reducing costs and increasing performance I am sure we will be able to accomplish the task. Increase Alumni donations to provide for more academic scholarships. We need to have the Development Department focus on donations to support academics. The excellent academic programs that Penn State provides gives us the opportunity to increase our efforts in this area. I would also work to increase communications with our alumni and staff. This will increase the commitment of alums and staff. In providing open communications with those whom we represent will increase their dedication and commitment to the university. During my tenure in public education I was afforded the opportunity to work with teachers, principals, superintendents, Board of Education members, parents and students. The one thing that I learned early in my career was to listen to both sides of an issue prior to making any decision. All people have good ideas and make many good suggestions on what and how to do things. It is our responsibility to listen to all sides and then make decisions regarding any task that is presented to us. In order for us to be successful as a Board of Trustee Member we need to consider what our goal is and then make a decision that is in the best interest of the majority. I will listen to staff comments and attempt to provide them with the tools and education to complete their very complicated jobs so that as a university we can be successful in all areas of the university. 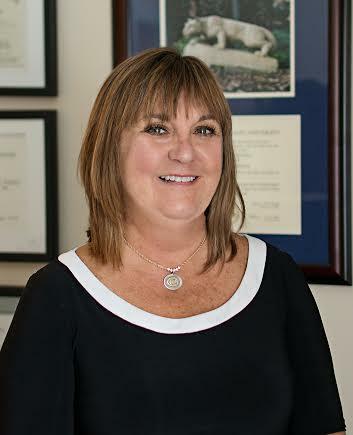 Amy L. Williams, '80, H&HD, managing director, SageWorks Rx, Wayne, Pa. The #1 priority of the Board of Trustees at this time is to become a functional team. They are not. The board needs to reconcile their past so they can truly move forward. This includes, but is not limited to the legacy of Joe Paterno. Regardless of which side of the aisle a board member is on regarding the Paterno legacy, or any other issue, as leaders, egos need to be put aside and the good of the University placed first and foremost. To say we need to move forward without reconciling our past is myopic, bad business and not in the best interest of our great University. Once this dysfunction is fixed then the board can begin to be truly lead and start to maximize their skills, experiences and effectiveness and address subsequent priorities. Future-forward diversity within the board. Ensure board reflects the same demographics as the student body to represent different perspectives for stronger outcomes. #3 Ensure the student is at the heart of each decisions, programs and fiscal spend. This will help to better manage the cost of tuition. First and foremost, the board needs to become a functional team for the good of our great University. Being involved with Penn State is not new. Condo in State College since 1980. Family heritage: parents, Hardy Williams and Joan Yerger Williams, are both graduates and long time supporters and lovers of Penn State. Penn State is not just a school, or a place to go to watch a football game, it is a key component of who I am, who I have always been and always will be. I am proud to be a Penn Stater and am committed to make it the BEST place to get an education in every sense of the word. As a single adult living outside of Philadelphia with a residence in state college traveling to Penn State is easy. 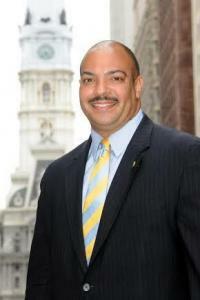 R. Seth Williams, '89, Lib, district attorney, city of Philadelphia, Philadelphia, Pa. Affordability...The reason I want to serve on the Board of Trustees and my highest priority is ensuring that a Penn State education remains possible for all Pennsylvanians that are academically qualified. It is because of Penn State that my father and I have embodied the American dream. I fully embrace Penn State's land grant mission to provide a quality and affordable education for the sons and daughters of the working class. As your representative on the Board of Trustees, I will work every day to ensure the Commonwealth of Pennsylvania increases its funding of Penn State, that we find more ways for private industry to increase our revenue streams and scholarships so we can continue educating America's most desired graduates. My other priorities of educational equity and University transparency are both directly related with Penn State becoming even more affordable for Pennsylvania's working class. 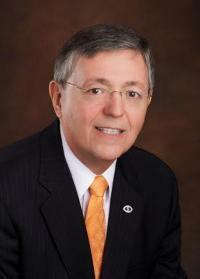 There are many men and women that are qualified to represent our alumni on the Board of Trustees. But it is my fixed opinion, that at this critical point of our beloved school's history, that I am the most qualified. Many candidates will make promises, I have a lifelong history of accomplishment and achievement. I learned from my father's successful activism to desegregate Penn State in the 1940's. As a student in the 80's I worked to address racism, sexism and homophobia on campus. With other students I successfully persuaded the Board of Trustees to divest from the apartheid government in South Africa. As the President of the Undergraduate Student Government I represented all students and served as an Ex-Officio member of the Board. As a prosecutor I brought child molesters to justice. As the Inspector General of Philadelphia I fought corruption, fraud and waste while advocating for transparency. As the elected District Attorney of Philadelphia, I supervise 600 people and seek daily to keep our state's largest city safe. As a Major in the U.S. Army, I have been trained to make plans, but to realize that nothing goes as planned. Most importantly, as the father of three, I will work to ensure Penn State remains affordable for future generations. Vision, leadership and proven achievement. Editor’s Note: This is the 22nd in a series previewing Penn State football, part of the countdown to the Blue-White Game on April 12 by StateCollege.com and Onward State. Read the previous stories here. 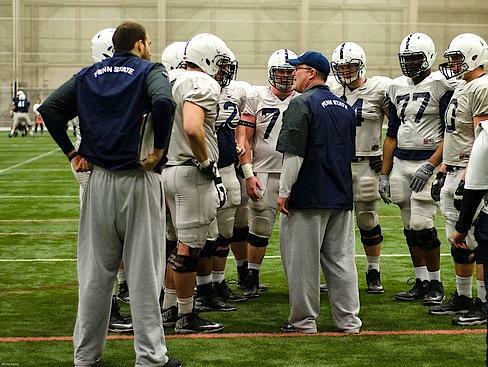 To a very real degree – both bachelor’s and master’s – Penn State’s new football staff is as much teacher as it is coach these days.